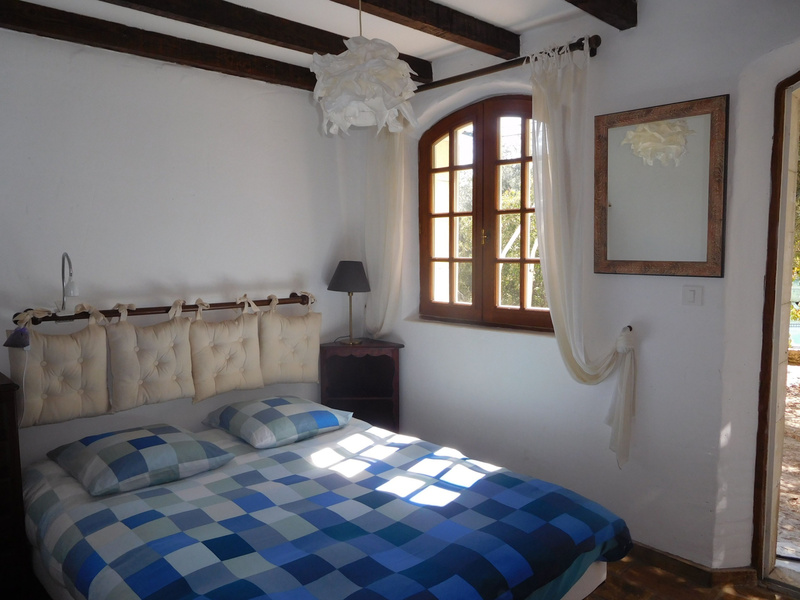 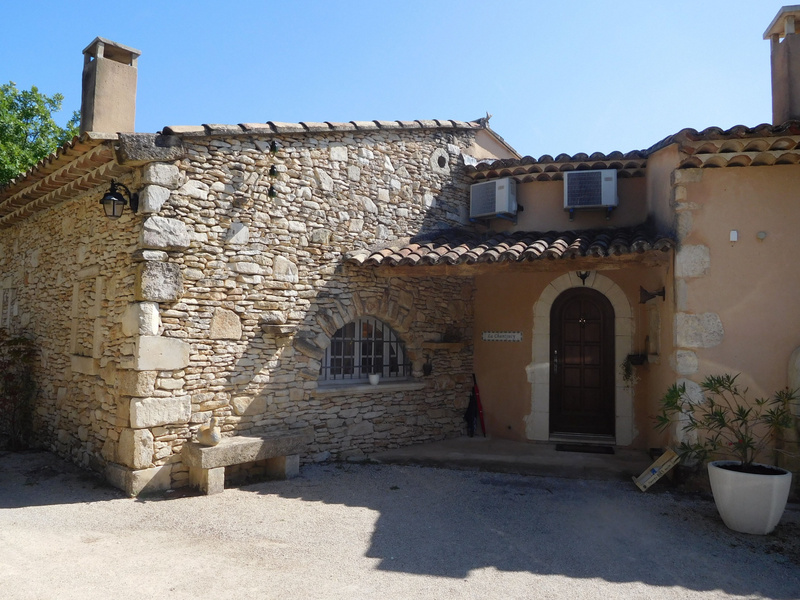 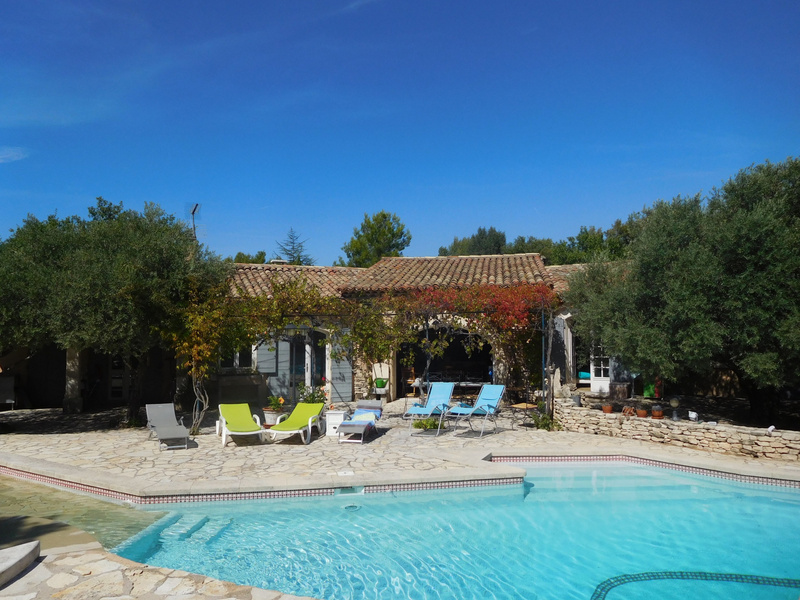 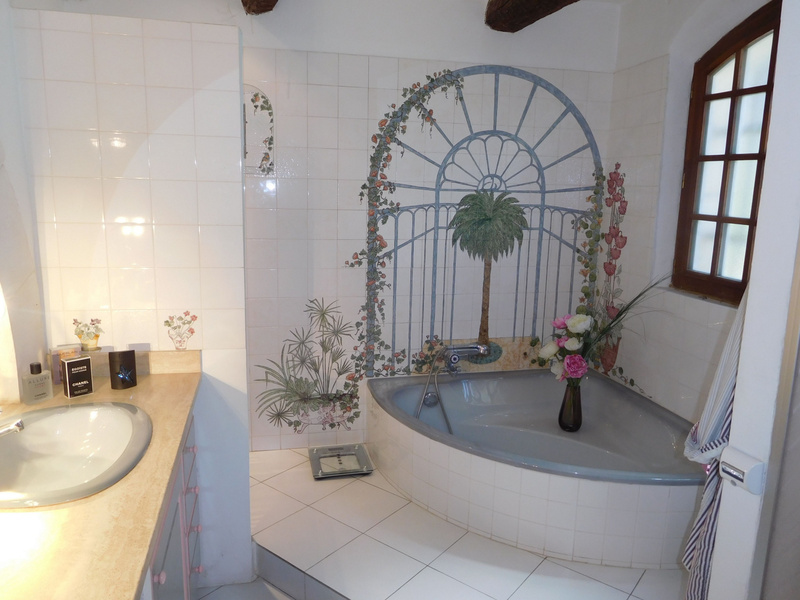 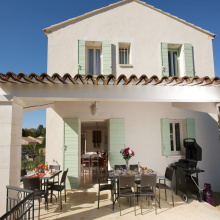 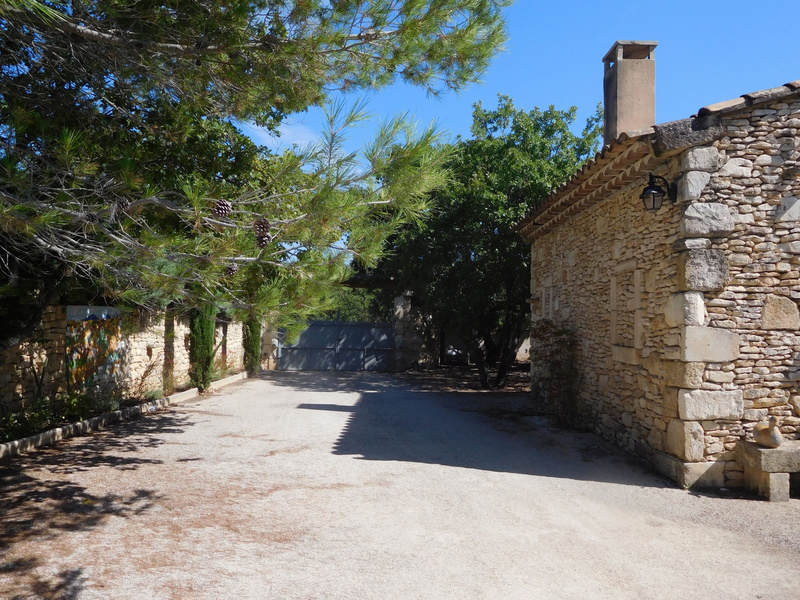 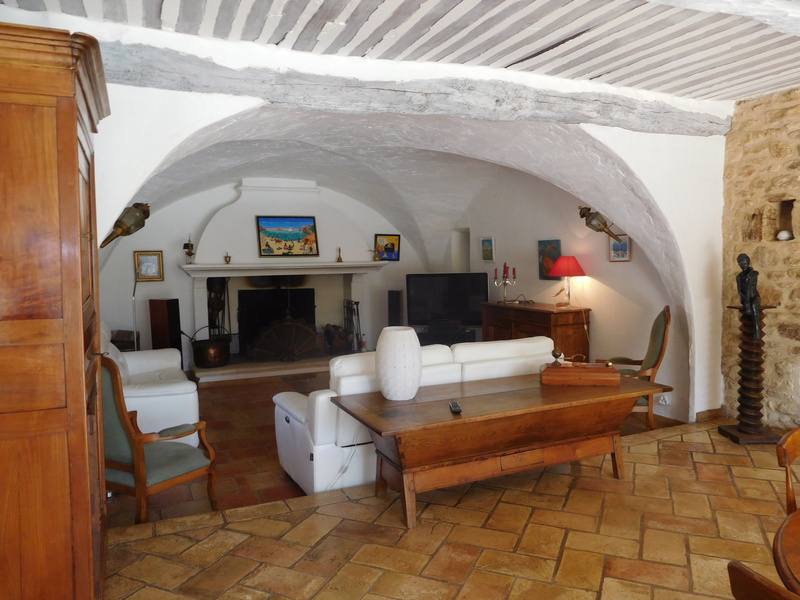 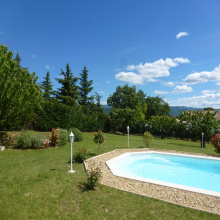 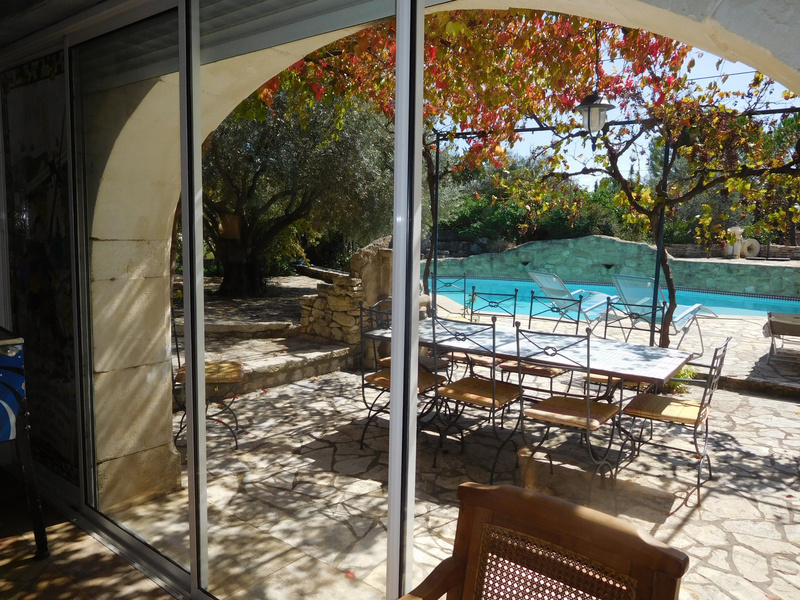 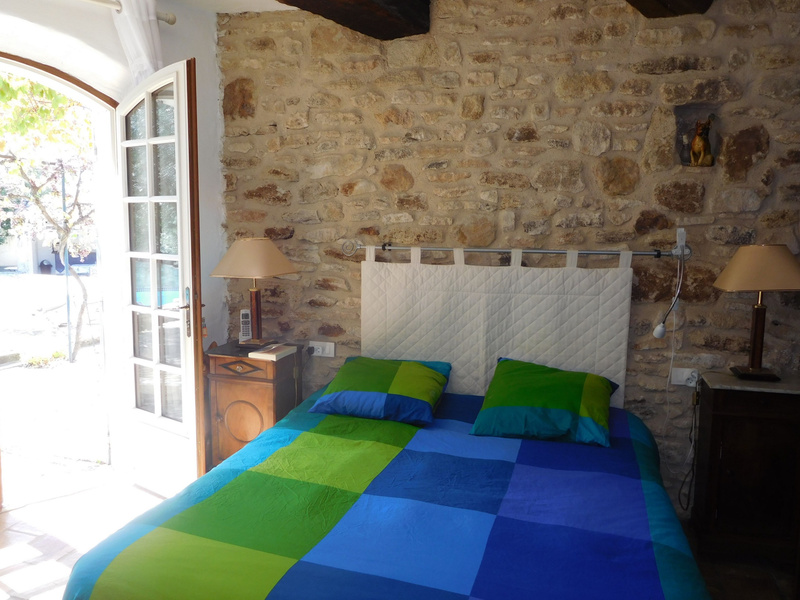 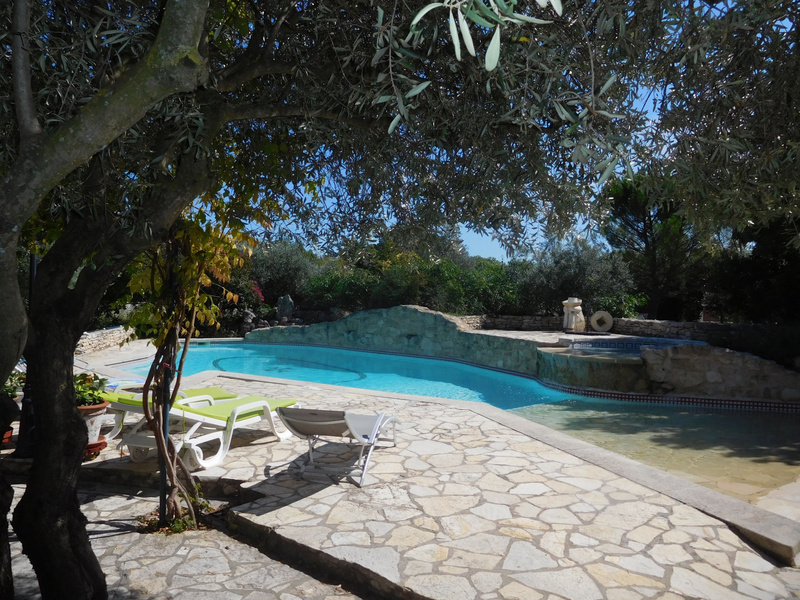 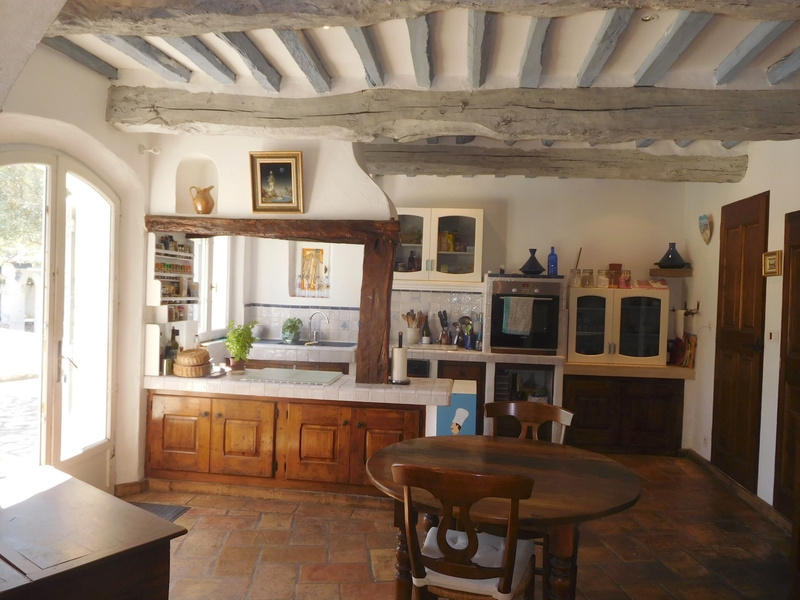 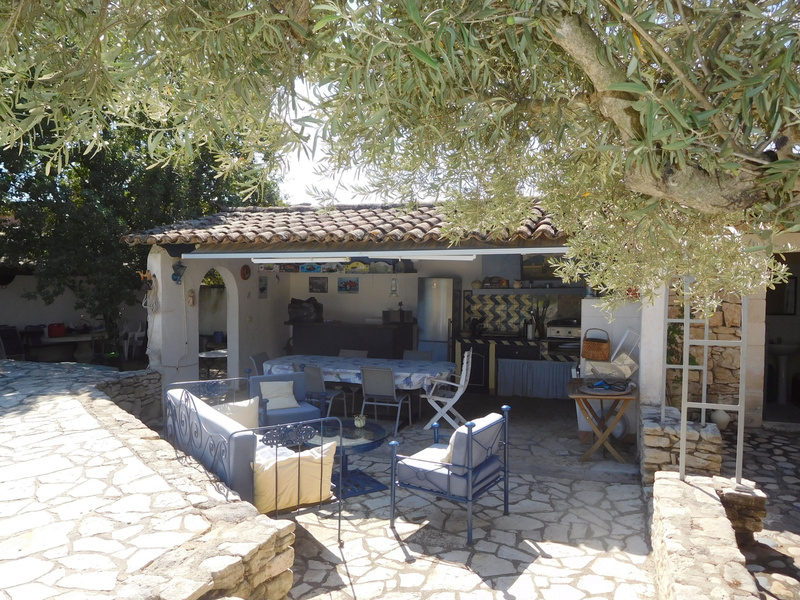 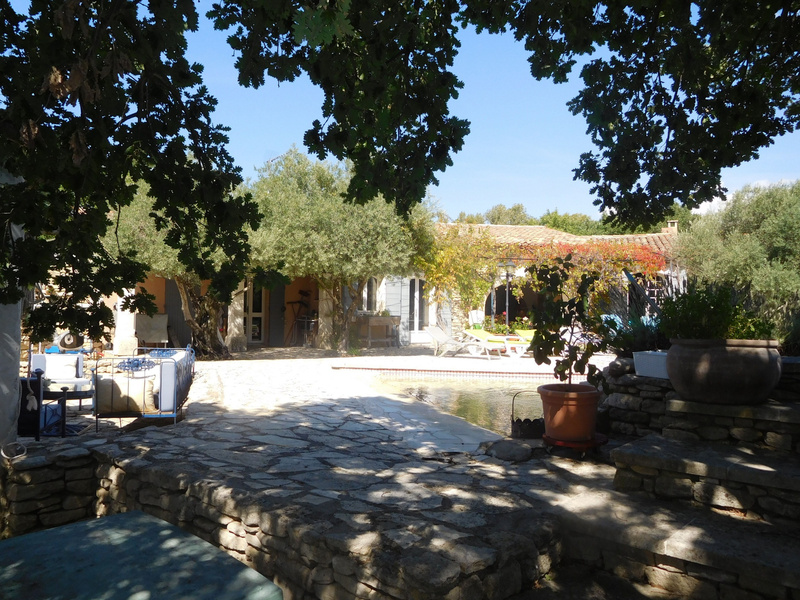 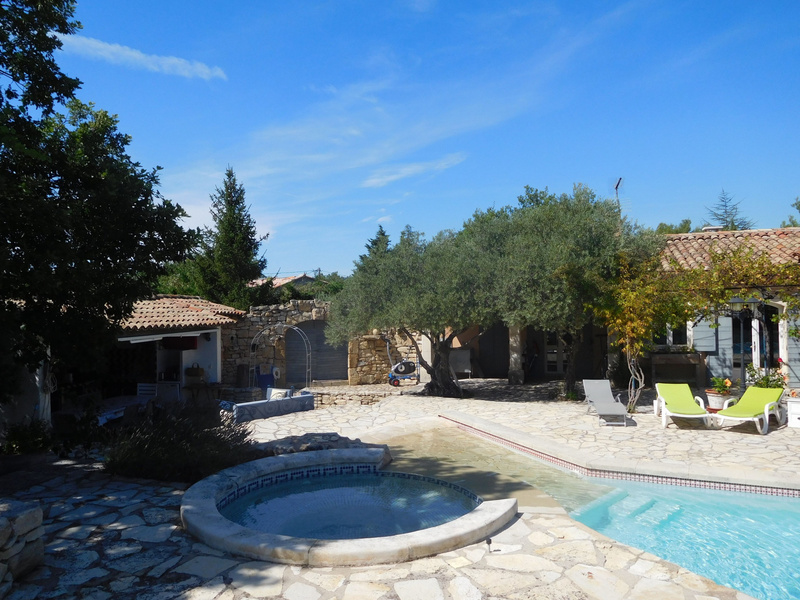 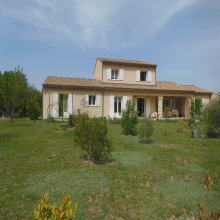 For Sale in the Luberon - Masion stone bungalow - Saint Saturnin les Apt - 9 Rooms. 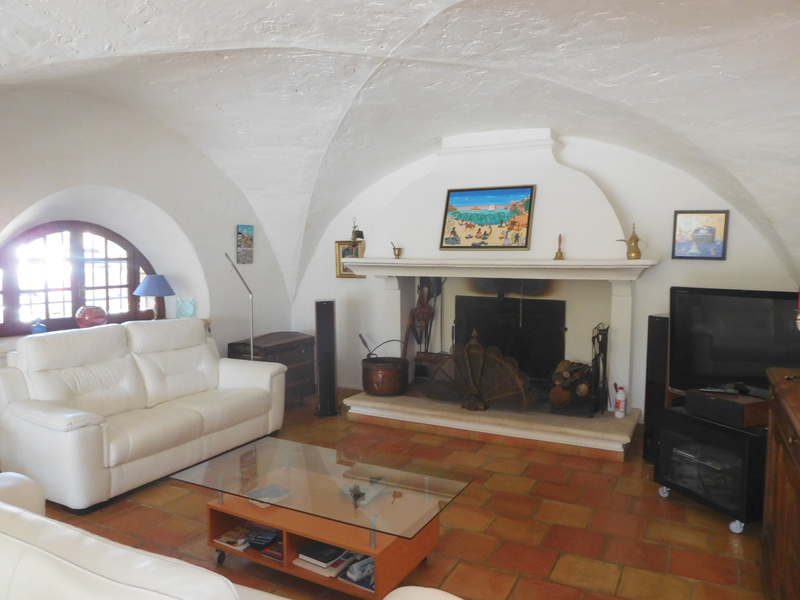 In a quiet and residential area, comfortable single storey house, Provençal charm with these stones and exposed beams, its vaulted living room and its beautiful open fireplace. 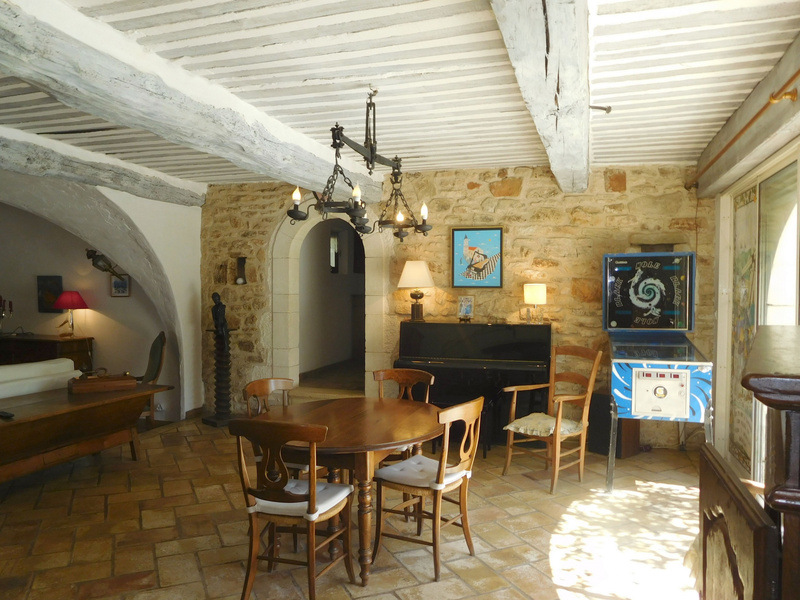 It consists of an entrance hall with cloakroom, a living room of 75 M2 with living room, dining room and open Provencal kitchen, bay windows open on a shaded terrace facing south, laundry room, wine cellar, 5 bedrooms including a master suite, an office, a bathroom, separate toilet. 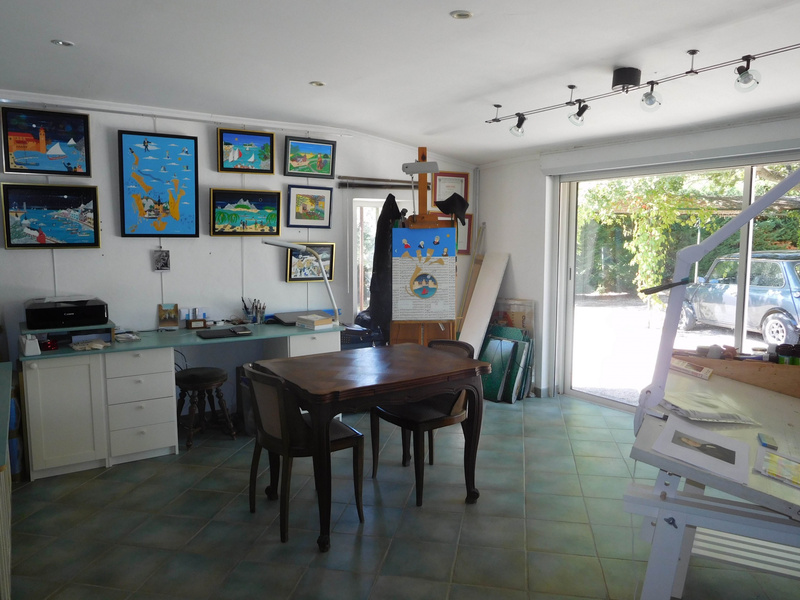 In annexes an independent room with workshop. 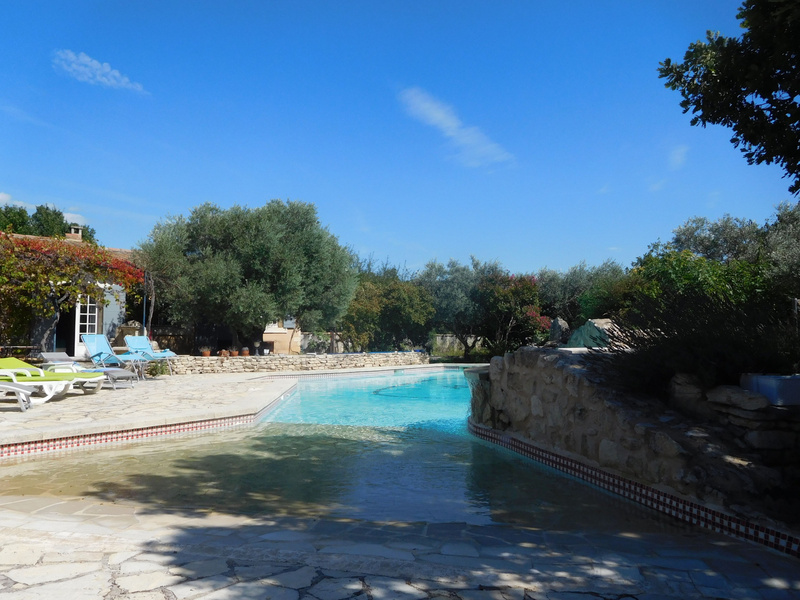 Superb freeform pool with Jacuzzi, fitted and equipped summer kitchen, bread oven / pizza. 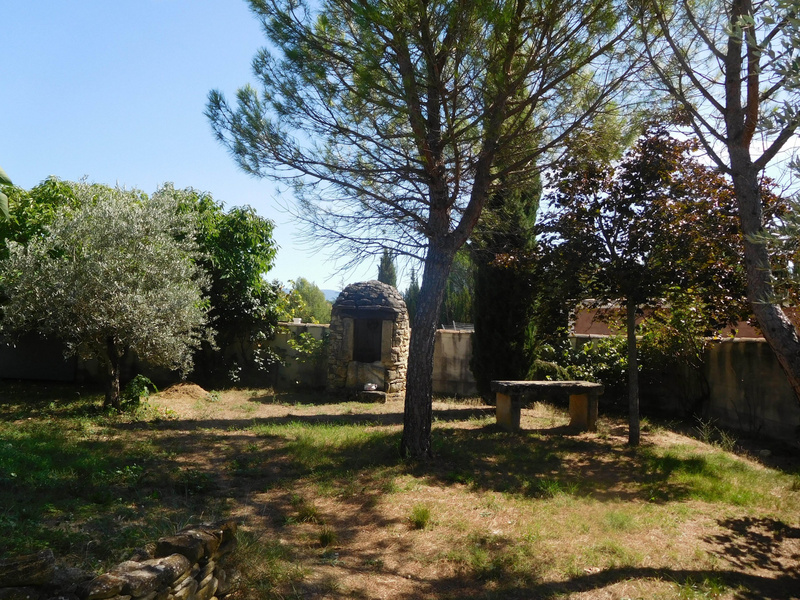 Reversible heat pump by the ground.